AUDITING: THE GOAL OF AUDITING IS TO RESTORE BEINGNESS AND ABILITY. THIS IS ACCOMPLISHED BY: 1. HELPING INDIVIDUALS RID THEMSELVES OF ANY SPIRITUAL DISABILITIES. 2. INCREASING SPIRITUAL ABILITIES. Although the purely philosophical aspects of L. Ron Hubbard’s works are sufficient in themselves to apply in everyday existence, only auditing provides a precise route by which individuals may travel to higher states of spiritual awareness. The goal of auditing is to restore beingness and ability. This is accomplished by: (1) helping individuals rid themselves of any spiritual disabilities; (2) increasing spiritual abilities. Obviously, both are necessary for an individual to achieve his full spiritual potential. Auditing, then, deletes life’s painful experiences and addresses and improves one’s ability to confront and handle the factors in his life. Through auditing one is able to look at one’s own existence and improve one’s ability to confront what one is and where one is. There are vast differences between the technology of auditing, a religious practice, and other practices. There is no use of hypnosis, trance techniques or drugs during auditing. The person being audited is completely aware of everything that happens. Auditing is precise, thoroughly codified and has exact procedures. A person trained and qualified to better individuals through auditing is called an auditor. Auditor is defined as “one who listens,” from the Latin audire, meaning “to hear or listen.” An auditor is a minister or minister-in-training of the Church of Scientology. A person receiving auditing is called a preclear—meaning “a person not yet Clear.” A preclear is someone who, through auditing, is finding out about themselves and life. The period of time during which an auditor audits a preclear is called an auditing session. A session is conducted at an agreed-upon time established by the auditor and preclear. Auditing uses processes—exact sets of questions asked or directions given by an auditor to help a person locate areas of spiritual distress, find out things about themselves and improve their condition. There are many, many different auditing processes and each one improves the individual’s ability to confront and handle part of their existence. When the specific objective of any one process is attained, the process is ended and another can then be used to address a different part of the person’s life. An unlimited number of questions could, of course, be asked, which might or might not help a person. 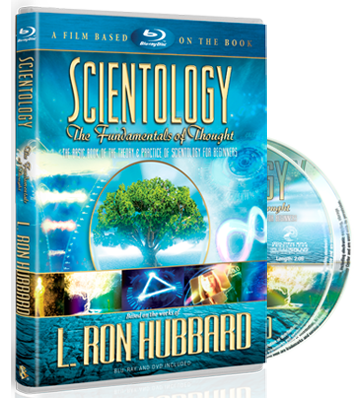 The accomplishment of Dianetics and Scientology is that L. Ron Hubbard isolated the exact questions and directions to bring about spiritual freedom. The questions or directions of the process guide the person to inspect a certain part of their existence. What is found will naturally vary from person to person, since everyone’s experiences are different. Regardless of experience or background, however, the individual is assisted in locating not only areas of spiritual upset or difficulty in their life, but the source of the upset. By doing this, a person is able to free themselves of unwanted barriers that inhibit, stop or blunt their natural abilities and increase these abilities so that they become brighter and more spiritually able. There are no variables in the technology of auditing, no random results of haphazard applications. Auditing is not a period of vague free association. Each process is exact in its design and in its application and attains a definite result when correctly ministered. 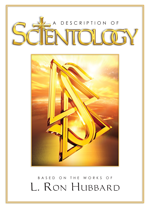 Scientology auditing can bring anyone from a condition of spiritual blindness to the brilliant joy of knowing.